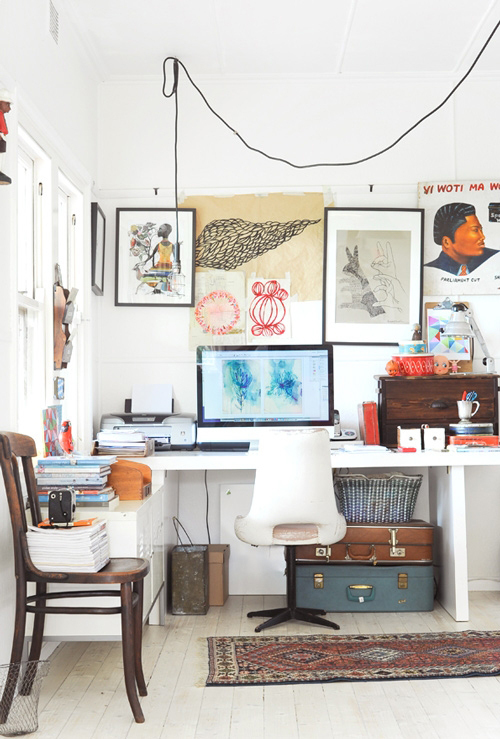 Today I’m loving … this creative workspace which belongs to illustrator Paula Mills. 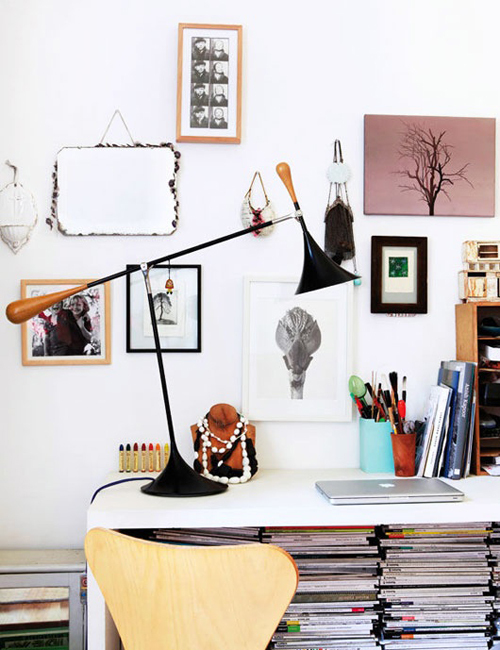 You can see more images of her beautiful home here on Design*Sponge. The space looks stunning, even the trunks below. But I wonder if it will be annoying to them out and put them back often. They do look nice in the pictures, though.